I'm a great fan of food art and this is my 1st attempt creating this Bountiful Goldfish Salad. Nian Nian You Yu (年年有余) symbolizes abundance though the year. The character 余 (Yu) is the homophone of 鱼 (Yu). 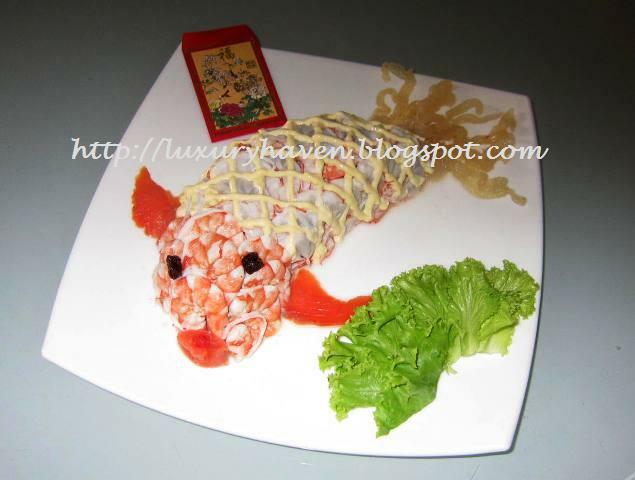 Hence, fish was used to highlight this Chinese New Year dish. I wanted to use Strawberries for the tail and fins, and Mango for salad but had to do a 180 deg change at the eleventh hour when I couldn’t find any of these 2 ingredients in the supermart. My mind had to work fast on the spot as I’d to prepare 7 dishes for the evening all by myself. So I replaced with Green Apple for the salad, Smoked Salmon for fins and Jelly Fish for the tail. The result was a refreshing appetizer. Shell and devein prawns. Rinse. Blanch prawns in boiling water. Remove immediately when prawns turn pink and transfer to cold water to top cooking process. Half the prawns and set aside. Remove apple skin. Cut into cubes and put in salt water to prevent it from turning brown. Mix tuna with apples, mayo, parsley and pepper. 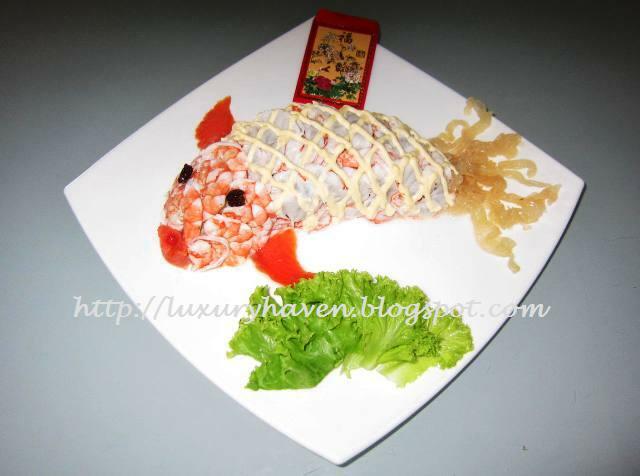 Begin moulding the shape of the fish by using the tuna mixture. To make "scales", layer the prawns according to pix below. When shape is formed, use mayo to make patterns on the body. Finally, cut the 2 slices of smoked salmon into the shape of fins; roll 1 slice to form the mouth. Cut cherry into tiny bites and add 1 to the center of the mouth. Decorate tail with Jelly Fish and you’ll get your creative dish for the festive mood! *Tip: Do not dispose prawns heads and shells. Keep them; they make tasty stock. 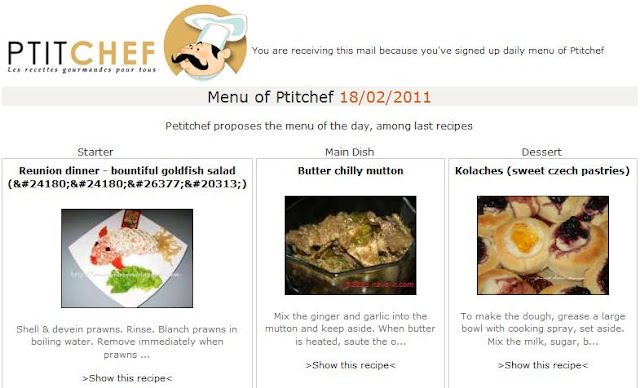 Check out my Prawn Bisque Recipe! Have you participated in my Giveaway? Luxury Haven is giving away a classy Cookpot this Chinese New Year! Go to Supor Fortune Cookware Giveaway to join now and Good Luck! Spread the festive cheer to your friends and let them WIN! Huat Ah!! Shirley, this is such a beautiful and creative dish. I think you found great substitutions, despite having to work under pressure. Seven dishes is a lot to make for one person. Glad everything worked out for you. Just as i was thinking, how could you bare to eat such a beautiful fish..... but your recipe is just too tempting to resist. Oh no, to eat or not to eat? LOL. Food art is something I admire too, but no patience to try. You've done well. An awesome creation, gorgeous! This is art on a plate for sure! Yummy! that looks like a mouth drooling recipe. thanks for sharing! 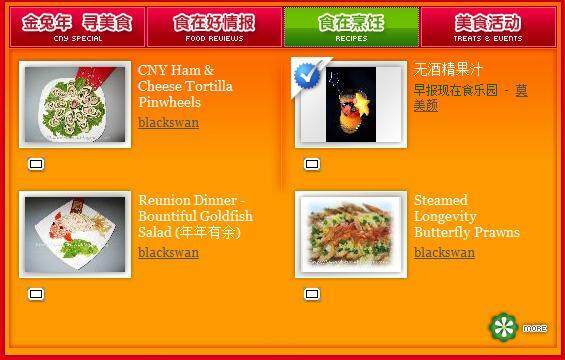 Lequan, I used to prepare 10-course dinners but I'd a maid to help me then. 7-course already took me a day to prepare. LOL! Thank God I didn't have to wash the dishes after that. Hahaha! Doris, u're always so funny! My mom-in-law thought it was a display when I brought it to show her. She only realized it was food when she touched it. It was so hilarious! Shirley, I agree that food art needs patience. Looking at just a pix & trying to model after it is no easy task. Penny, your comment means a lot! Natasha, thks & I appreciate your kind words. you are extremely creative this is wonderful! 祝你一家大小 ： 新年快乐 心想事成 身体健康！ 恭喜恭喜！ Enjoy & have a fabulous time! That is so adorable! I am so impressed. Mary, I knew it! Hahaha! Pegasusland, thks for dropping by! Kristy, 心想事成? I like that! Emily, thks & hope u'll try this out too! What an artist and a whizz in the kitchen preparing all these dishes. Well done, Shirley! Artfully presented! And Shirley, I am sure it is delicious too. A very befitting dish for the coming CNY! PH, thks dear! I'm glad u like it too! Ken, thks for your lovely note! It's a very refreshing starter. U must try it to know. Hahaha! Happy CNY to u too! What a spectacular dish, Shirley!